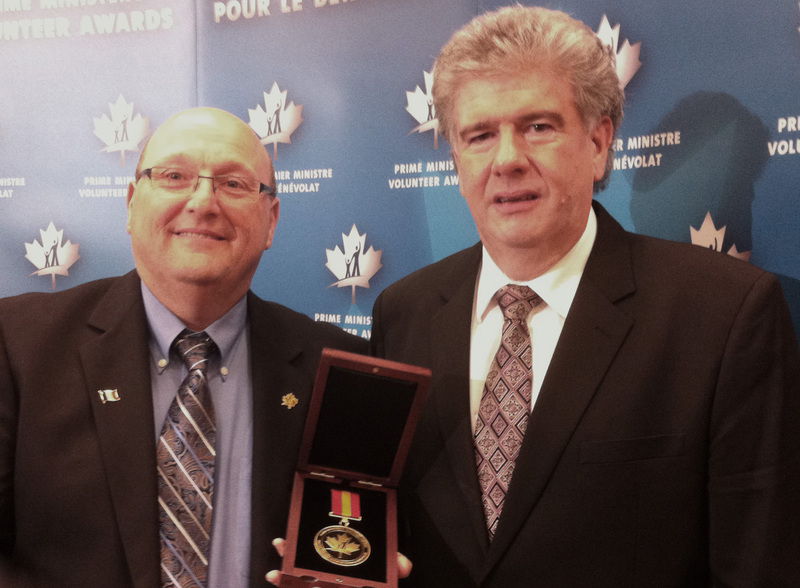 On December 14, 2012, Caisse populaire de Clare received a Prime Minister’s Volunteer Award at a ceremony held in Ottawa. Caisse populaire de Clare was honoured as the Atlantic Canada Winner in the Business Leader Category for their work with the Canadian Cancer Society (CCS), among other charities. Caisse populaire de Clare consistently makes a remarkable contribution to others and their community through charitable giving, volunteering and participation. They were instrumental in the creation of the CCS Relay for Life event in Clare, which infused the entire community with energy, excitement and hope in the fight against cancer. The long-term impact they made with the event has been heightened awareness of cancer prevention, detection, diagnosis and treatment. Paul Emile LeBlanc, CEO of Caisse populaire de Clare, attended the ceremony in Ottawa and accepted the award on behalf of the Caisse. “This award would not have been possible without the great work done by the staff, management and volunteers of our Caisse! We have an excellent team with good leadership! This was a challenging year because our Caisse lost three very dear friends in Ian Caldwell, Marc Robichaud and Joe Mombourquette. All three individuals exemplified the commitment we all have to volunteerism and the love of our community,” said LeBlanc. According to Canadian Cancer Society CEO Barbara Stead Coyle, the decision to nominate Caisse populaire de Clare for the national Volunteer Award was an easy one. “The staff and management of Caisse populaire de Clare share a strong collaborative approach to supporting the Canadian Cancer Society. Their continued involvement is driven by their staff support for the cause, many of whom have been touched by cancer. When nomination time came, we knew they fit the bill perfectly for the Business Leader Category. Congratulations and thank you for your outstanding commitment to the Canadian Cancer Society, and Nova Scotian families facing cancer,” said Stead Coyle. Accepting the Award for Caisse poulaire de Clare are Paul Emil LeBlanc, CEO (left) and Claude Belliveau, Board Chair (right).